This book is good! Damn good, to be quite honest. This book is Radclyffe at her very best. She weaves a story with strong characters that have heart and soul and just enough angst and tension to keep you captivated. This is hands down the best of the Rivers Community Romance Series. 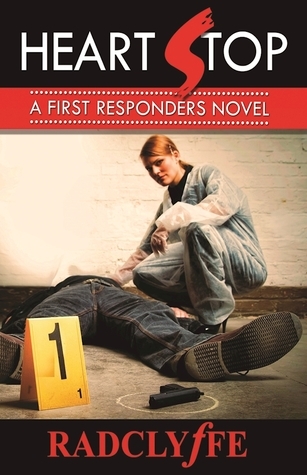 Carrie Longmire is back and in the forefront of this one. Carrie is super-efficient at her job and basically everything she does. Not wanting to settle for anything than true love, Carrie patiently awaits for the one to show up. 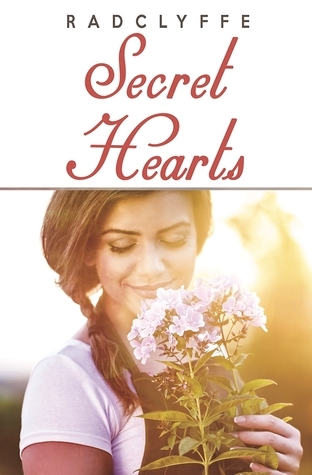 She fine to flirt and casually date, but anything more is out of the question unless love is in the air. Gina Antonelli had one tragedy turn her life upside down. An accident, when she was a teen, took the life of her childhood friend and first love. Gina bears the weight of that moment every day and has basically shut down. She exists to work for her father’s construction company, and the job is all there is for her. Carrie and Gina totally get off on the wrong foot and that makes for a tumultuous start. No this isn’t a love to hate romance, but they do spend some time trying to get their footing around each other. Add into the fact that they are both ridiculously attracted to each other, and you have for a fabulous beginning. There is heat, there is tension and its drawn out perfectly. Add in the other fun and fascinating characters of Rivers and you have an amazing story. I am partial to Blake and Margie myself and I delighted that story weaves a bit of them into it as well. If you loved the Rivers series so far, this one is for you. This book has it all! If you haven’t read this series yet, well, I am a bit jealous of you because get ready for a great set of books. If you are a Radclyffe fan, you’re going to love this one. The romance of Heart Stop has all the right elements. Fantastic main characters, delicious romantic tension, and just enough angst to keep you riveted to the storyline. I adored this book! Dr, Jay Reynolds is lucky to be alive. An almost life ending accident has changed the direction of Jay’s life. Jay was born to be a surgeon. This was her life plan for as long as she can remember. In the blink of an eye, everything has changed. Jay is no longer physically capable of surgery. She can’t stand for long periods of time and not to mention the tremor in her hands. A push from a friend Jay changes her medical career into the field of pathology. Assistant chief medical examiner Olivia Price is 100% the job. She expects excellence not only from herself but everyone around her. 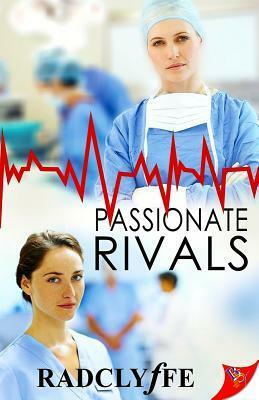 Burned by her first love, Olivia has completely written off all aspects of love, nope, this is for others, not for her. She spends her time focusing on the dead, and giving them final respects and answering clues on how they met their end. She is fine with that. Of course, this all changes when a new student, is thrust upon her. Right off the bat, you have two things, a lot of tension and a lot of attraction. Let me tell you, I loved every second of Jay and Oliva’s story. It’s interesting, it’s hot and Radclyffe gives you just the right amount of push and pull to keep you riveted to their story. Secondly, there is a crime element of this book. If you have followed Radclyffe’s books you are going to meet up with a lot of past characters. Rebecca Frye and Catherine Rawlings, Dellon Mitchell and Sandy Sullivan, Dr. Ali Torveau and Beau Cross are all in here somehow connected to our main characters and looking for who a fatal synthetic heroin has ended up on the streets of Philadelphia. I think when you have a book that includes past characters you walk a thin line of whose book is this. Radclyffe does a good job of their cameos tying in directly to the story as a whole. I always love a Radclyffe book, and this one I must say was a delight. I really, really liked Jay and Oliva’s dynamic. A classic Radclyffe is what Secret Hearts is. A sweet story, with well-developed characters and enough chemistry to keep you 100% committed to the end. You know what you’re getting with this author and she doesn’t let you down. Catherine “Kip” Kensington hails from a very prominent, well to do New York family. Her last name and the work she does for the Department of Defense forces her to keep a low profile. Unfortunately her brother, Randy does not follow her lead. Addicted to drugs and “borrowing” cars, lands not only himself but Kip in lockup. A childhood tragedy shaped both Kip’s and Randy’s life, and the young man has taken refuge in nefarious activities as a way of masking his pain. Kip plays the mother role and tirelessly tries to help Randy out of jams even though the price she pays is a criminal record and a ton of heartache. Jordan Rice is developing a community garden project in the heart of Manhattan. She works tirelessly to plant her crops and make contacts to supply her produce to the city’s restaurant industry. With a heart of gold, and an iron will to succeed, Jordan doesn’t make room for anything else but work in her life. She’s given up on meeting anyone and fills her time with making the world a better place. Jordan and Kip meet in a super awkward way. Kip is assigned by the courts to do 400+ hours of community service for driving a stolen vehicle (thanks Randy!). This caring do-gooder takes her licks and heads over to the community garden, unbeknownst to Jordan that the garden was getting a helper. Tension increases as the office building has just been broken into, which causes Jordan to almost attack Kip, the perceived thief. This age gap romance has a lot going for it. You have two level-headed, intelligent leading ladies who really work well together. Life throws them some curveballs sure, but these to have a synchronicity and a natural flow. They just work well together in all sense of the word. Even though Kip is used to holding a bit of herself back, Jordan has a way of looking past that and finding out who Kip really is. Through Jordan, Kip learns to let Randy stand for himself, even if it’s a painful process, to watch someone you love take the hard road. This is a feel good story that is most definitely worthy of your time. 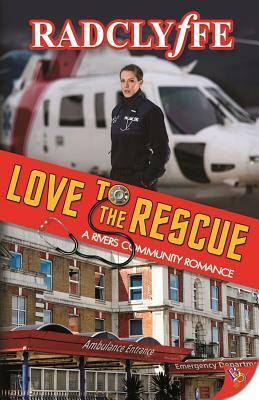 Love on Call is the third edition of the Rivers Community romances by Radclyffe. If you haven’t read the first two, this is a standalone, but you will be a bit in the dark on some of the periphery character’s backstories. If you are like me, Radclyffe is one of your go-to writers. While not always knockouts, Radclyffe is known for a quality story with interesting characters and engaging story lines. Love on Call will not let you down in this aspect. 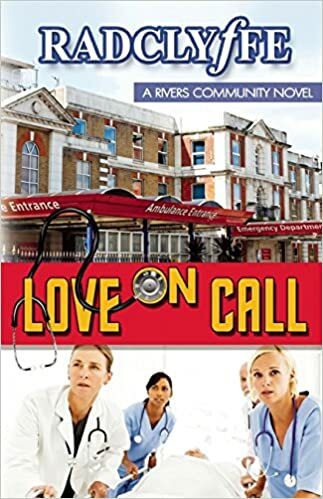 Love on Call brings in a new character Mari Mateo, a physician’s assistant who has moved across the country for a chance to start over. Rivers offers Mari a chance at a career and life on her terms. Hailing from an intolerant family, Mari leaves her Los Angeles home to begin again. You find out pretty early on that Mari has had a rough go of it lately, harboring a secret that weighs heavily on her heart and mind. The other main character is Glenn Archer, a recurring character from the last two books in this series. Glenn is a former Army medic who is now taking her new role as PA program director at Rivers hospital. Glenn is your brooding, heartthrob how is instantly likable but is more comfortable in the background than center stage. Mari and Glenn hit it off right from the beginning. The work well together and become fast friends as well as colleagues. You can tell these two feel attraction towards the other, but both are skittish about taking it to the next level. Two very easily likable characters, that as the reader, you can’t help but root for them to overcome their self-imposed obstacles, and take the chance on love. While their chemistry isn’t overwhelming and palatable, it is there. The romance is well thought out and interesting. These two characters have personal baggage, and it was delightful to see how they helped the other carry the weight, and see new perspectives on life. The compliment each other very well, and it was an overall good romance. The only downfall in my opinion, to this story, is that you don’t get enough time with Glenn and Mari. Carrie plays a dominant role, and you are drawn to her story and what will most likely e the next romance in the series. Also, Blake and Margie, take a chunk of the story as well. As much as I loved the two mains of this book, my mind kept wondering what Carrie’s story will be, how will Blake and Marie’s romance unfold. I never was fully engrossed in this book, more wondering what the set-up for book four will be. If you are a Radclyffe fan, you won’t be disappointed in this one. While not her best, this certainly will keep you entertained for the duration of the book. Definitely worth the price of admission! I was given this book by the publisher, BSB, in return for an honest review.